Clinton Campaign Will Take Part in Recounts, But Casts Doubt on Rigging TheoriesBoth the Clinton campaign and the White House say they haven’t found the evidence to warrant further scrutiny of the election results. Hillary Clinton Blames F.B.I. Director James Comey for Her DefeatShe told campaign donors that Comey’s second letter, two days before the election, did the most damage. Kids Left Sweet Messages for Hillary Clinton Outside Her Campaign HeadquartersTake a look at all the love-filled notes in chalk. Women Are Dressing Up to Vote and It’s Very StylishThe pantsuit is having its day in the sun. 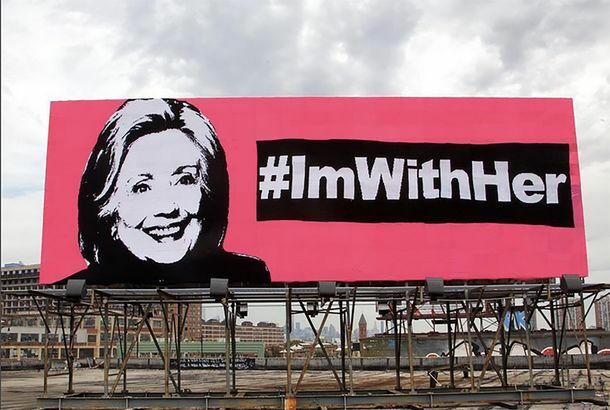 There Is Now a Billboard-Sized Blanket Crocheted With Hillary Clinton’s FaceThe Polish-American artist Olek spent four weeks stitching the work for a billboard in New Jersey. Here’s Beyoncé, Jay Z, and Hillary Clinton Hanging Out Like BFFsEverything was beautiful, and nothing hurt. James Franco Gets Steamy for Hillary Clinton in His Second Endorsement VideoFranco flexes his celebrity might, and his pecs. James Franco Gets Steamy for Hillary Clinton in His Second Endorsement VideoFranco flexes his celebrity might and his pecs. YouTube Star Asks Hillary Clinton How She’ll Help Stop Revenge PornChrissy Chambers has been open about her experience and is pushing for legislation to protect others. The Case for Bernie Sanders on Women’s IssuesHillary Clinton, who? 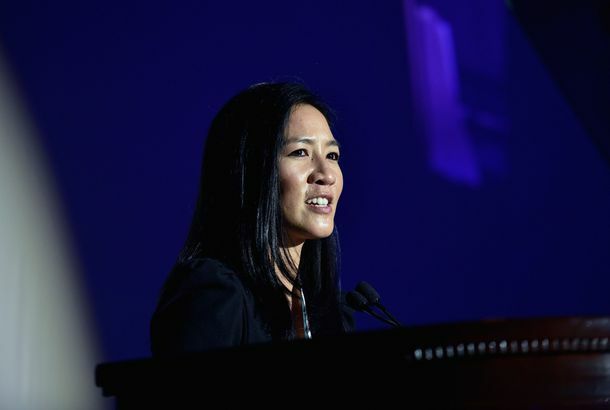 Michelle Kwan Triple-Lutzes Out of Your Childhood to Help HillaryThe Olympic medal winner will work on outreach efforts from Brooklyn. What Brings Bill de Blasio to Iowa? [Updated]The mayor will be promoting his progressive agenda and quietly boosting his national profile. 67 Is the Optimal Age to Run for PresidentThere really is a “best age” for everything. Hillary Clinton Reportedly Signs Lease for ‘Brooklyn Cool’ Campaign HeadquartersClinton has reportedly signed the lease for a campaign headquarters in Brooklyn Heights. Hillary Clinton Shame-Reads Self-Help Books, TooDon’t be embarrassed, girl. Frank Rich on the National Circus: Why Eric Cantor’s Defeat Wasn’t So ShockingOf course he lost! It’s not his party anymore. Giorgio Armani Would Happily Provide Pantsuits for Hillary’s InaugurationThe “how would you dress Hillary for her inauguration?” line of questioning has begun. Hillary Clinton Is Already Dealing With Unofficial 2016 Campaign DramaDueling super-PACs: Not the worst problem in the world. Chuck Schumer Endorses Hillary Clinton’s Nonexistent Campaign Here we go. Hillary Clinton’s Twitter Debut: A Cut ChatWhy does her bio begin with “wife”?